We are focused from the beginning, with many years of dedicated Commercial Real Estate experience behind us. 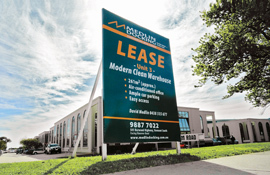 If you are looking for property management or to buy, sell or lease commercial, industrial/warehouse or retail real estate anywhere in the Melbourne metropolitan area don't hesitate to call us to discuss how Medline Docking can achieve the best outcome for you. Great opportunity to Lease or Purchase a beautiful boutique office suite on the 9th floor in the Century Building on the corner of Swanston Street and Little Collins Street.